Am I the only person who loved Mrs. Paul's Fish Sticks as a kid? I couldn't wait for my parents to go out, so the babysitter could make them for us! Everyone needs a good fish cake in their life! 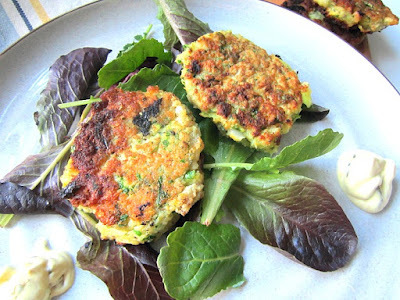 My salmon cakes are the bomb, and there is no better recipe (so I have been told!). But I don't always want salmon....sometimes I want a nice piece of cod. These are so easy to put together, and are kid friendly too. You can make the fish cake batter and keep it in the fridge to fry up later.....same with this perfect remoulade sauce. I think a simple salad would be best with these babies, or maybe some homemade cole slaw, but that's it. 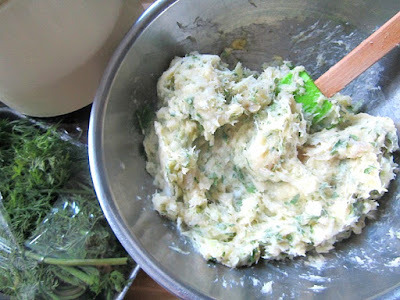 Make the remoulade sauce and keep in the fridge covered for a few hours to chill. 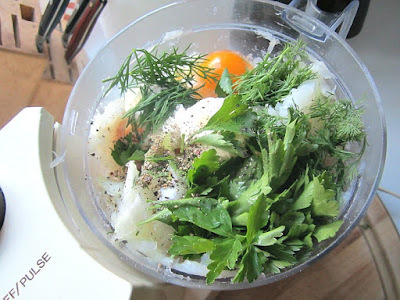 Process the onion finely in the bowl of a food processor. Add the fish, dill, parsley, flour, egg, 2 tablespoons of melted butter, salt, and pepper and pulse until ground medium fine. Transfer the mixture to a bowl and refrigerate, covered, for at least 1 hour and up to 4 hours. 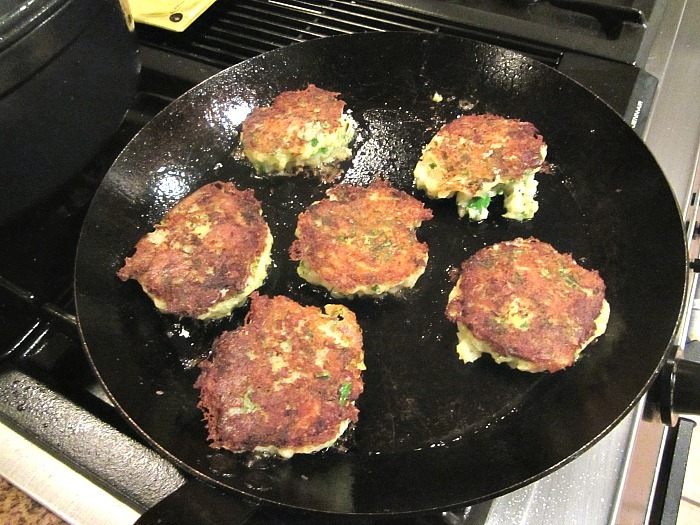 Shape the fish mixture into 8-10 patties. Set them on parchment paper. Heat the oil and the remaining 1 tablespoon of butter in a heavy, wide skillet over medium heat. When the butter begins to foam, add the fish cakes and cook for about 5 minutes on each side. I did this in 2 batches, and needed to add more oil. 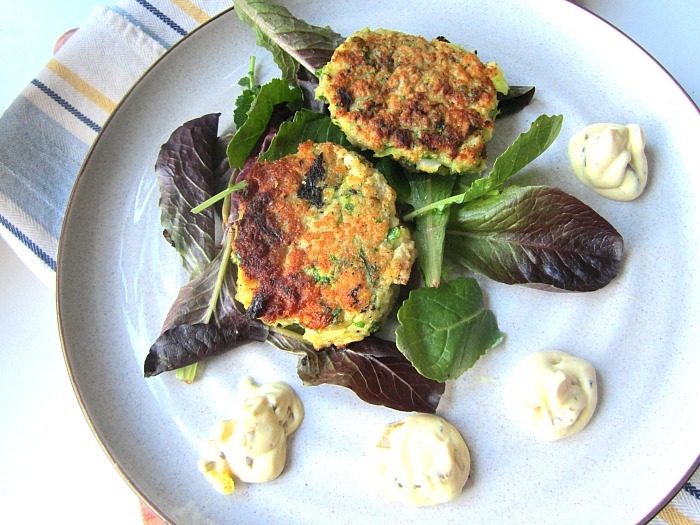 Blot on paper towels and serve with the remoulade sauce on the side. 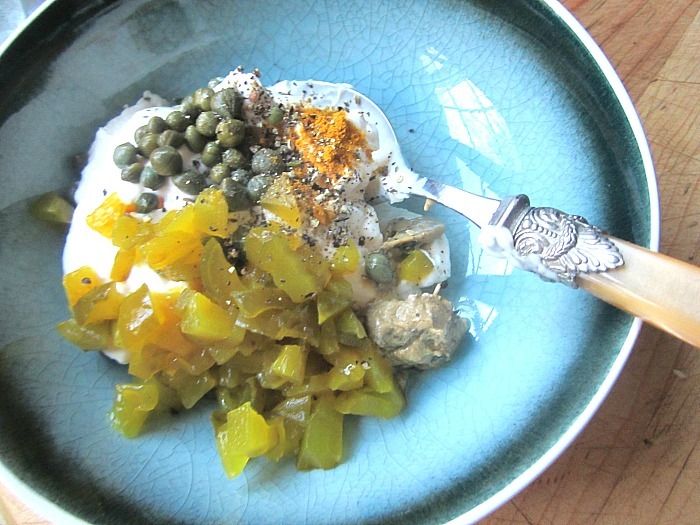 I loved these better for breakfast the next morning with a crispy egg.